The angels were sending me a message about not getting hung up on fear. Just keep on paddling through the dream, sending love. I realize how often I might get sucked up in drama, when the only solution is to keep moving downstream, enjoying the moment. 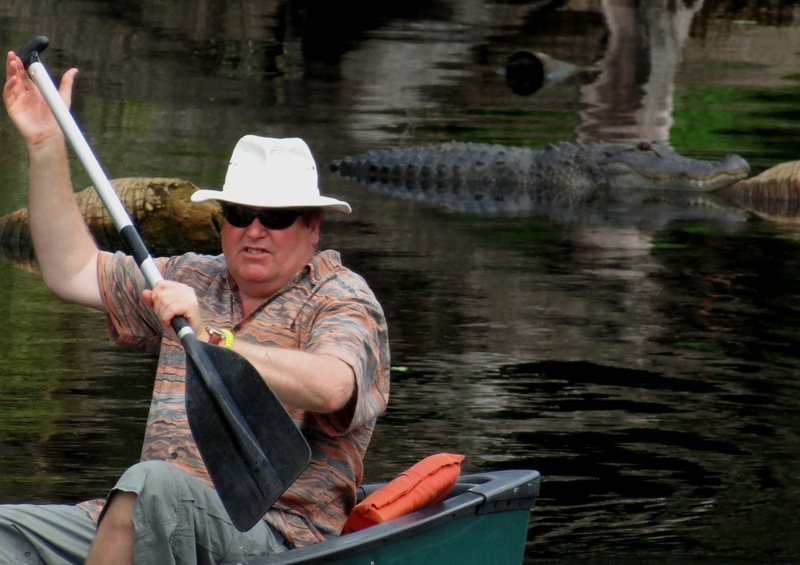 In spite of the appearance of the gator, this man and his companion were experiencing a beautiful day at the springs. Love and wisdom go hand and hand, and so naturally, they didn't stop to stare. When we meet up with fearful thoughts, like gators, that can disturb our peace, we can choose to just keep on paddling by, knowing that we are always in the presence of angels. That conviction can make all the difference.